PING G400 Max driver review: think maximum forgiveness. Putting the @pinggolfeurope G400 Max driver to the test @hadleywoodgc today. Getting some interesting numbers. Video review coming soon! The clue is in the name. 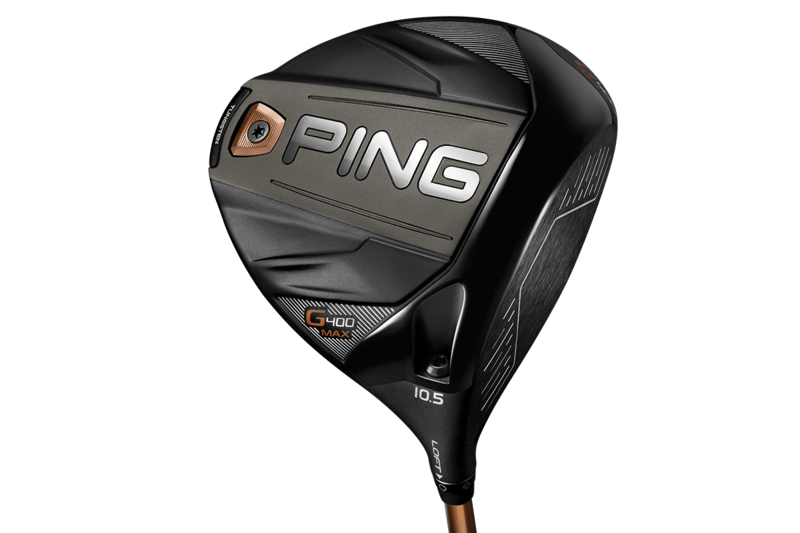 The Ping G400 Max is designed with the same performance benefits as the impressive G400 driver, with maximum forgiveness added on. We tested the PING G400 driver at Hadley Wood Golf Club in north London, using TaylorMade TP5 golf balls and a SkyTrak Launch Monitor. @pinggolfeurope launch G400 Max driver, G700 irons and Glide 2.0 Stealth wedges. Hit the link in our bio for more. Very similar to the G400, but with a larger profile thanks to a 460cc head. It also has a silver face, unlike the black face on the PING G400. However, from the top it has the same finish and DragonFly Technology is on show. The headcover is also the same. Loud, and not quite as solid as the G400. Still a decent feel, but better players will prefer the G400 in this department. Undeniably, this is a very forgiving driver. Compared to the G400 - which in its own right had heaps of help on off-centre hits - the G400 Max was noticeably more forgiving. We found it launched high, and PING are saying this driver is the lowest CG driver on the market, which would make sense. For higher handicappers with slower swing speeds, this would help them eek out as much distance as possible. In the distance stakes, when struck out of the middle we got slightly less distance from the G400 Max compared to the PING G400, but the help we got on the off-centre hits made up for it. Spin was higher in the G400 Max from all over the face. Aimed at the higher handicap golfer, and it does exactly what that demographic seek. High launching, and uber forgiving, the PING G400 Max will appeal to golfers that need a little help off the tee. Not the best feel, but you’ll get over it when you see your ball in the middle of the fairway and way down there!